Submerged plants, and many marginal plants, should be grown in baskets or containers. Crystal Creek Pond Supply in Lake Ann, MI. 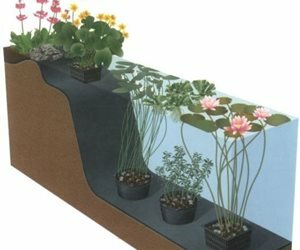 Why include plants in a water feature? There are numerous benefits to growing aquatic plants in a garden pond. First, water plants will help keep the pond in ecological balance without chemicals or expensive equipment. Second, certain types of plants will aerate, or add oxygen, to the water which is essential for raising fish. Third, plants can provide shade which helps reduce the growth of algae. Finally, adding plants to a pond creates a beautiful, natural look. Aquatic plants grow best in still water. If your pond has a waterfall or stream make sure that plants are far away from this feature where they won't become damaged by moving water. This is especially the case for delicate plants such as lotuses and water lilies. When growing water plants a good rule of thumb to remember is that one-third of pond should be covered with plants. This creates a good mix of shade and sunlight which is need for plant health, water quality and fish wellbeing. If your pond has a formal design don't overdo it with plants. 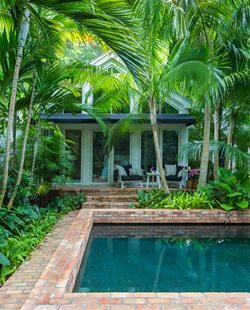 Typically a formal pond will only feature one or two aquatic plant varieties. Create patterns, rows, and borders with the plants that mimic the geometric structure of the pond and garden design. If your pond has an informal design plants should be a priority. Informal ponds aim to look as natural as possible and plants will help you achieve this. 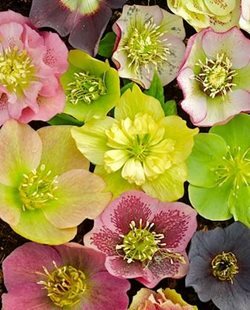 Grow a variety of plants with differing textures, shapes, and colors. 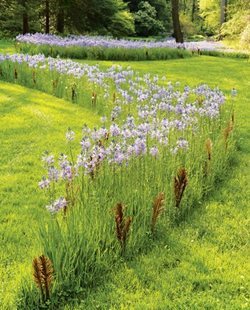 Avoid planned planting, instead opting for a natural, random look. Submerged plants grow below the surface of the water and are often referred to as oxygenators. Oxygenators add oxygen to the water which is beneficial for fish and other plants. 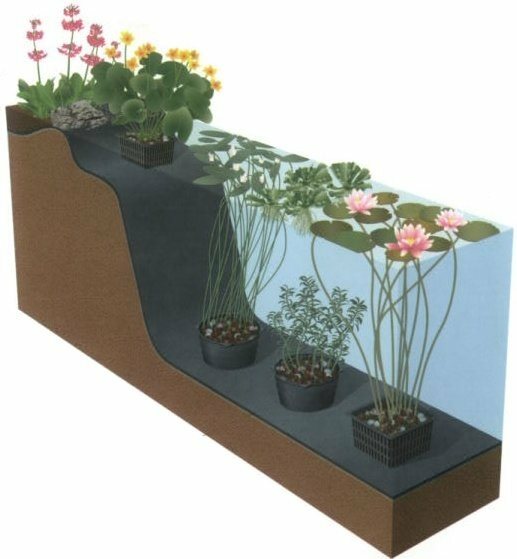 Additionally, submerged plants act as natural filters, helping to maintain the ecological balance of the pond. Examples of submerged plants are hair grass, water hyssop and Canadian pondweed. Floating plants grow on the bottom of a pond, but send leaves and flowers up to float on the surface of the water. Floating plants require 6 hours of full sun per day and calm water in order to thrive. Koi ponds generally feature floating plants because they provide fish with shade and hiding spots. Common floating plants include lotuses and water lilies. Marginal, or bog plants, grow in shallow water and muddy soil. While their roots are underwater, most of the plant is visible above the surface. Marginal plants are usually grown in containers that are placed in the water. Examples of bog plants include cattails, grasses and reeds, forget-me-nots and water clover.